When Jesus taught us to pray, “Give us our daily bread…” He wasn’t just referring to physical food, but also to the Word, the ‘Manna from Heaven,’ (God’s Message); and also, to Jesus, who called Himself, the ‘Bread of Life.’ Tomorrow, on World Communion Sunday, as we break bread together, we will also feast on the Grace of Christ and be nourished in God’s Word. 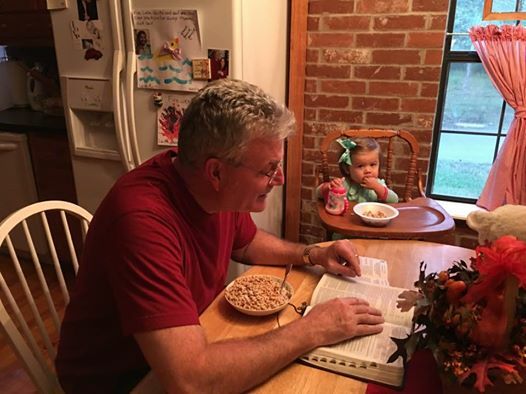 In our home, Poppa T is breaking bread( Cherrios!) with ‘Lainey Bug’—taking the Word into the next generation! Have a great Saturday, all!